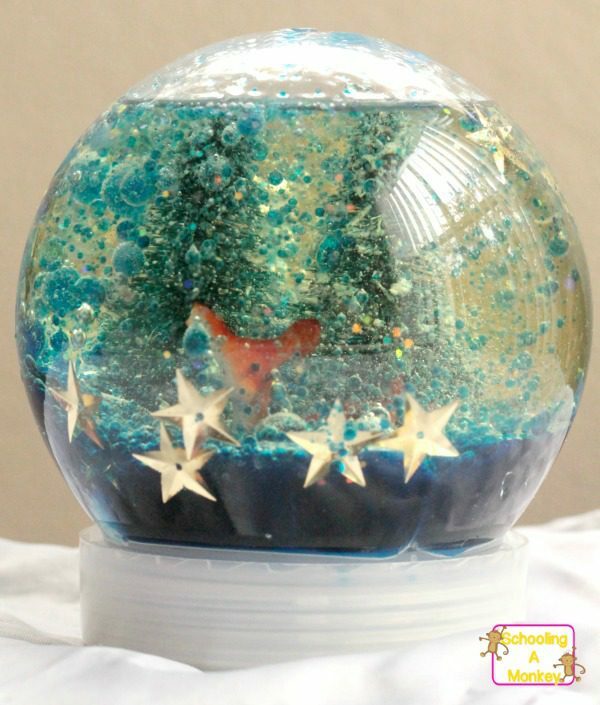 Don’t just make boring snow globes, make exciting ones! 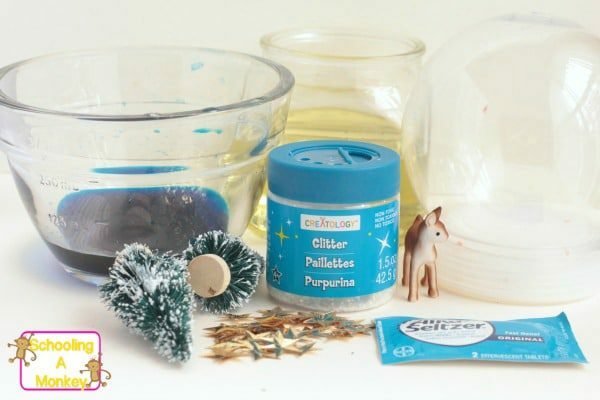 Make your Christmas a chemistry Christmas with this DIY bubbling snow globe! 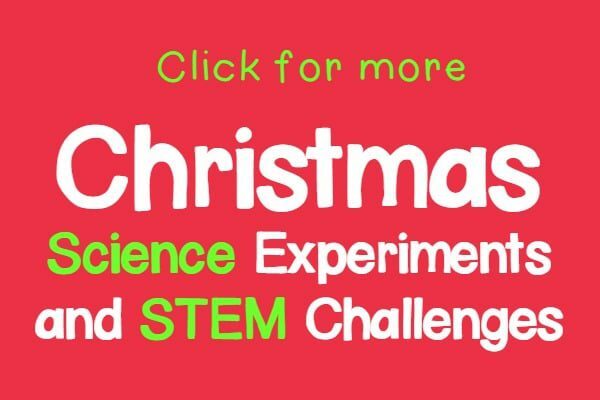 We’re big fans of Christmas STEM activities, so of course we want our Christmas activities to be as science and STEM-themed as possible. Christmas STEM activities are so much fun! We decided to make homemade snow globes, but rather than let the snow drift down, we wanted our globes to bubble. 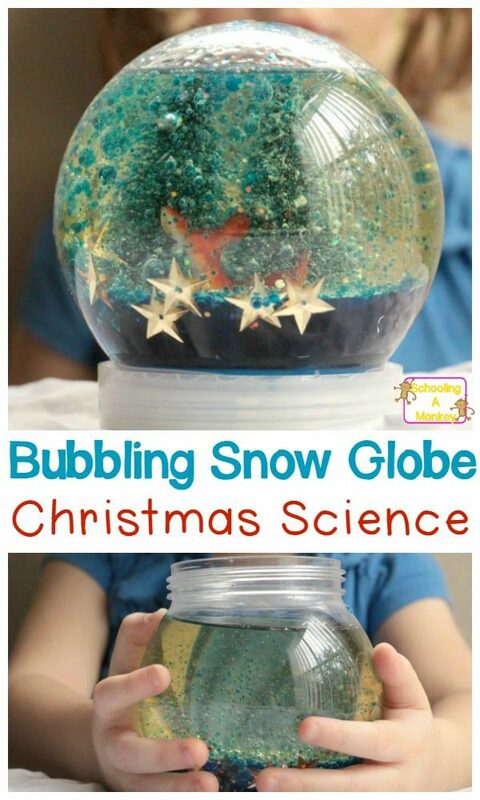 With a little STEM thinking, our snow globes turned into bubbling magic. 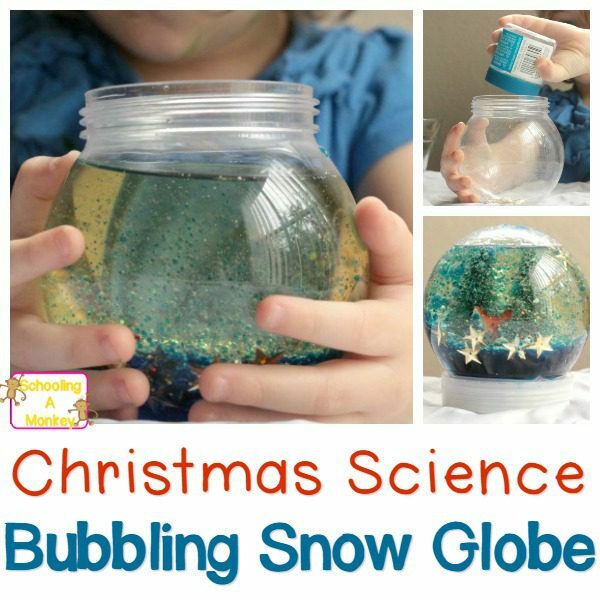 Learn how to make your own bubbling snow globe as an engineering activity for kids below! First, assemble your objects onto the snow globe floor. The kids decided to use a tree and a deer in their globe. Fill the globe about 5/6 of the way with mineral oil. Fill the rest with water dyed blue. Crumble an alka seltzer tablet into the globe. Quickly screw on the lid as tightly as possible and flip it over. 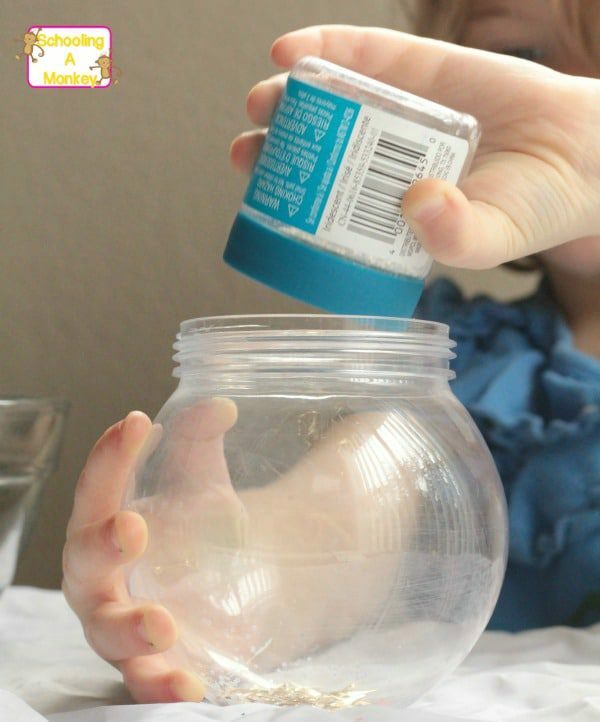 The alka seltzer will react with the water and oil, creating a lava-like effect in the snow globe. One word of caution, the pressure from our tablets was too much for our globe after a while. It started to leak. A higher quality globe might leak less, or you can just do what we did and place a tray under the globe to catch the drips. 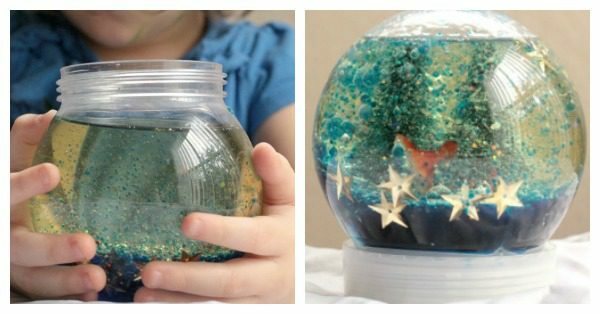 When your snow globe stops bubbling, add another tablet and repeat!